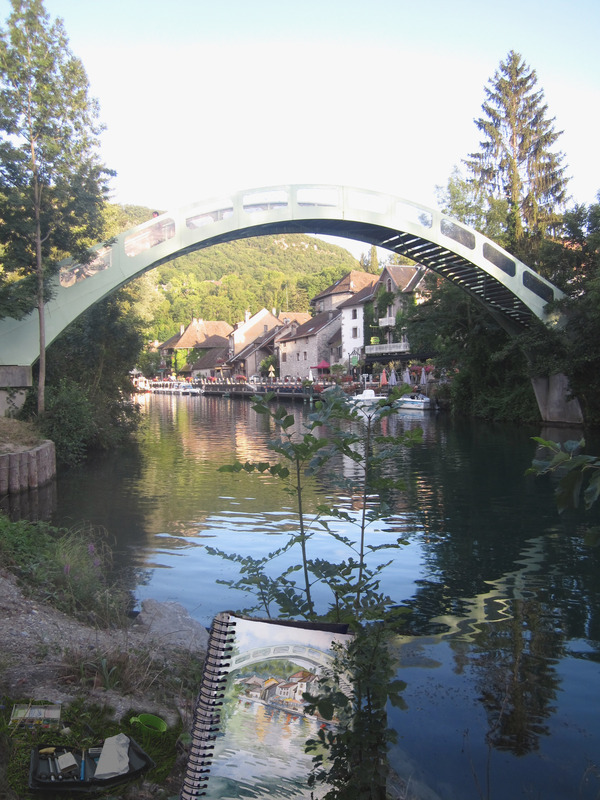 I spent a very nice afternoon painting this in Chanaz, a picturesque little village in Haute Savoie. I love water patterns, but these ones really did take forever, and I wished I’d never started. My book, Source to Sea a visual journey down the river Rhone, is available here.